When I was six years old I walked the short trip to our local cinema, accompanied by my mum, and plopped myself down on a red velvet booster seat to enjoy the latest Disney film. 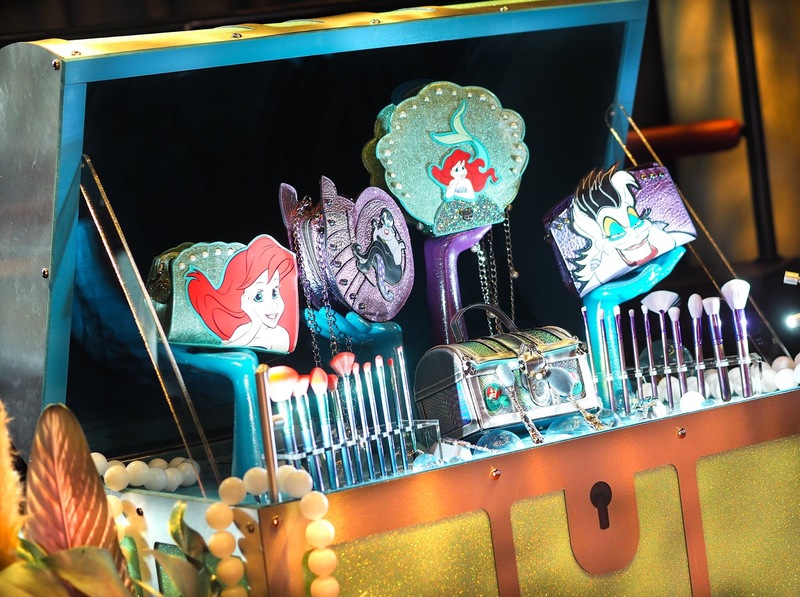 It was very much a tradition of my childhood, taking a much anticipated trip to the flicks, and those outings have left a long-lasting appreciation and deep sentimental passion for the classic animated musicals. 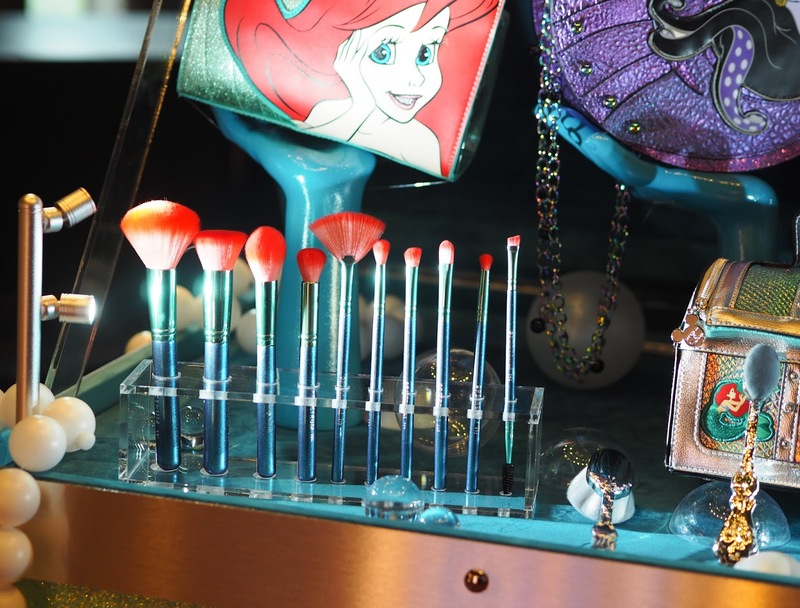 Unlike other Disney films, The Little Mermaid instantly left an impression; I adored the bright colours, the modern songs (baring in mind it was the late eighties!) and the characters that I wanted to be my friends. For years my sister and I sung ‘Under The Sea’ and my VHS copy of the movie was one of my most treasured (and used) possessions; three decades later it remains one of my favourite films of all time and I proudly can recite practically every lyric from the soundtrack. 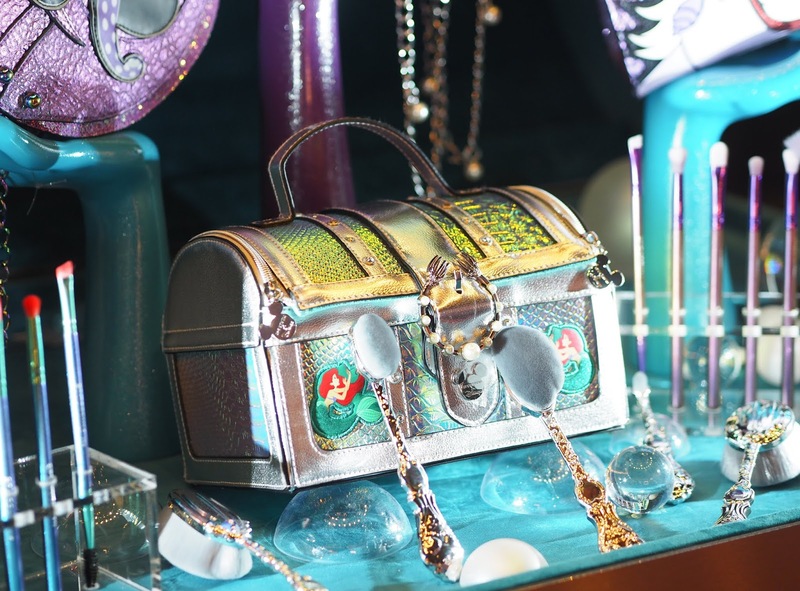 I even spent a small fortune importing a Flounder bag from the States (read the outfit post here) and have all manner of fishy memorabiliar floating around my flat – because you’re never too old for a bit of Disney. 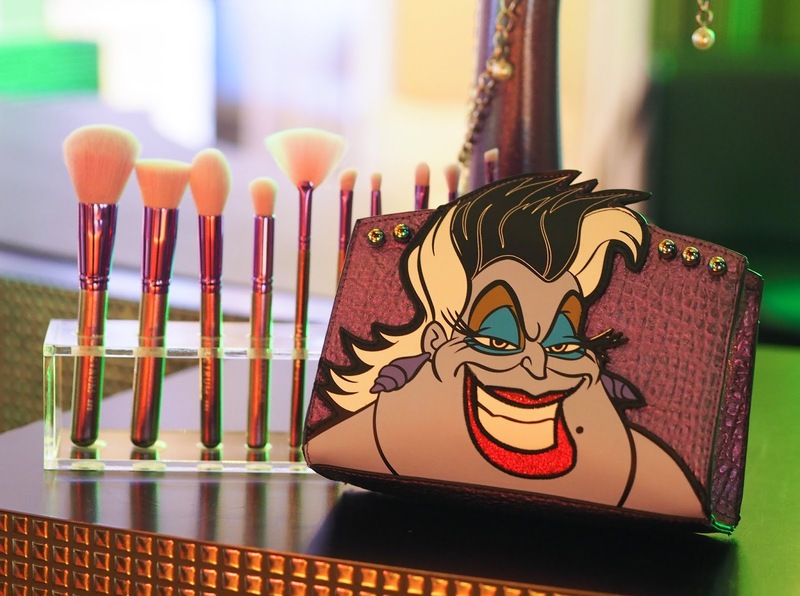 So when the amazing ladies over at Spectrum Collections announced their latest collaboration was with the iconic film from my childhood, I got more excited than Scuttle finding a snarfblatt. 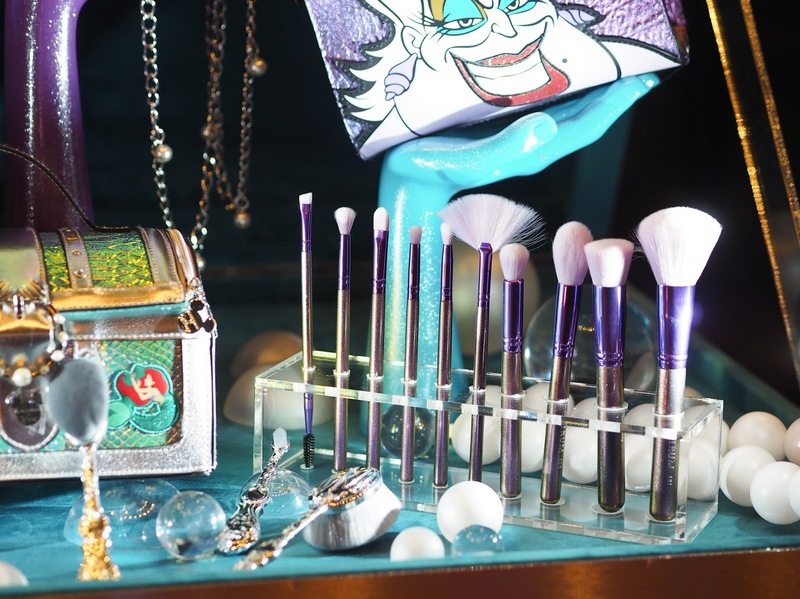 The limited edition collection takes inspiration from the colours and textures seen in the film, using both Ariel and Ursula as their muse. 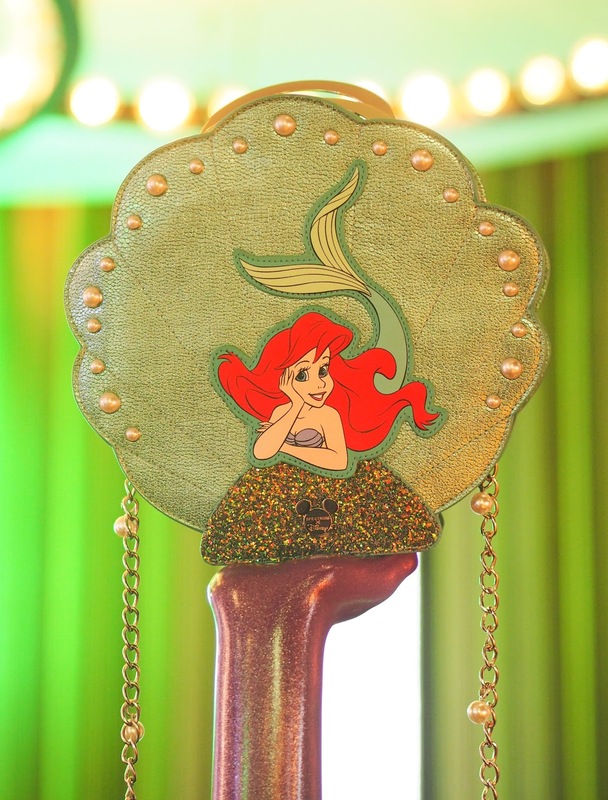 Although I’m a little disappointed there’s no homage to Sebastian or Flounder (the best characters – don’t @ me!) 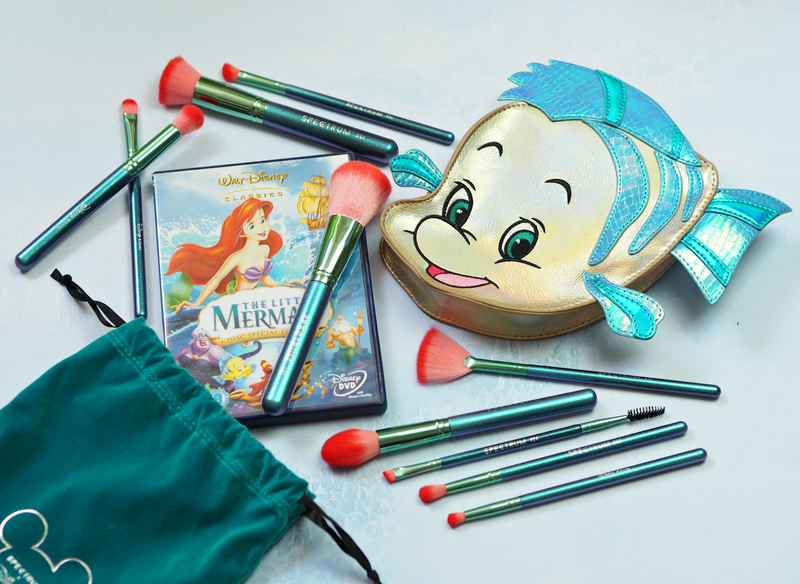 you can choose from a green shell case that features ten Ariel-coloured brushes (the green represents her tail and the red her hair, obvs) or a purple Ursula shell bag with the same style of tools. Although quite pricey (£79.99 for the case and ten brushes) you know you’re getting the best quality and a collection of tools you’ll treasure for the years to come. 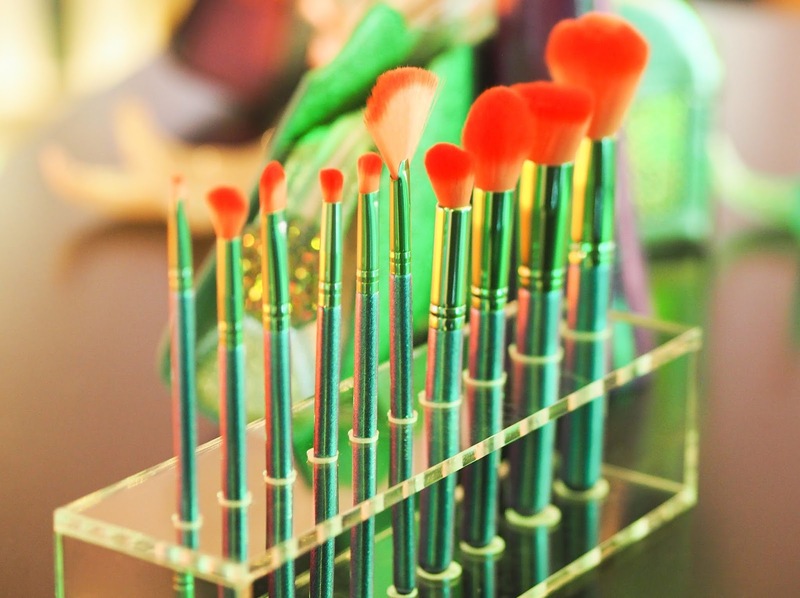 If you fancy something a little more extra there’s even a treasure chest that features five ‘dinglehopper’ brushes (the oval round ones you’ve probably seen all over Instagram) that provide a super professional finish and are totally on-trend; this features so much detail it’s hard to believe this is makeup, providing the perfect place to store all your oojits and whatsits while looking pretty fly too. 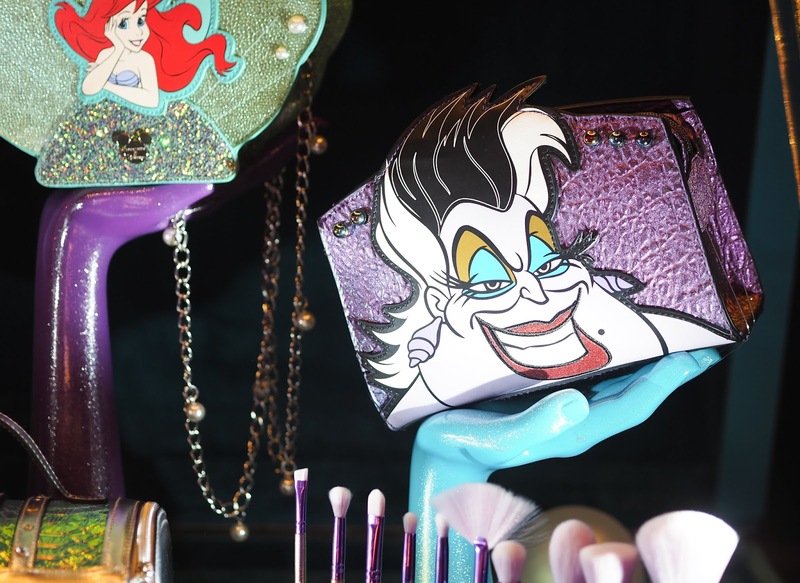 There are also a couple of makeup bags that are available without the brushes, providing a more affordable option if you just want a piece of the collection but can’t justify nearly a hundred quid to do so; at £24.99 they’re much cheaper and can double up as cute clutches too. Although these aren’t the best photos (the launch took place in a very dark bar with very fluorescent lighting!) 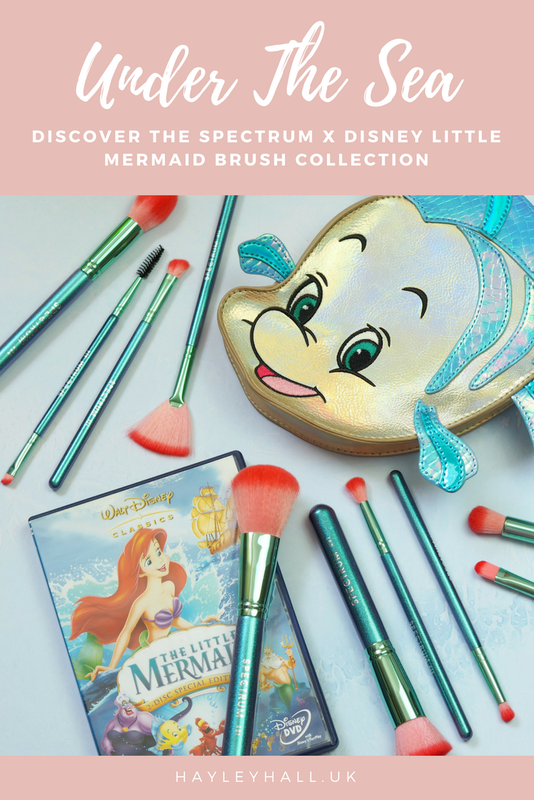 they hopefully give you some indication of the incredible detail and authenticity of both the bags and brushes; Spectrum are great at making practical tools all the more exciting, and with this collection they’ve certainly not disappointed. Upon seeing it for the first time I was instantly transported back to my childhood, enthralled and excited in equal measure, and I know that Disney fans across the world will love Spectrum x Disney as much as me. Sebastian would be proud. 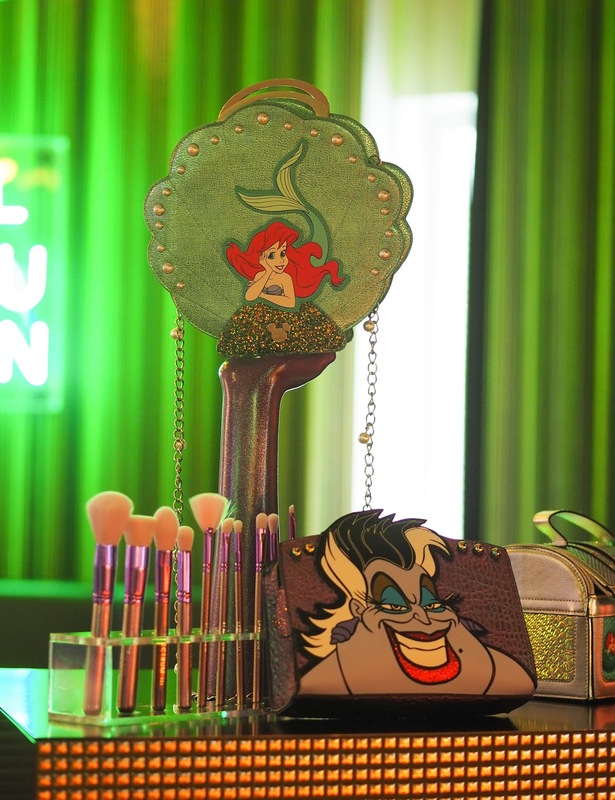 Are you a fan of The Little Mermaid? Are you excited about this collection? 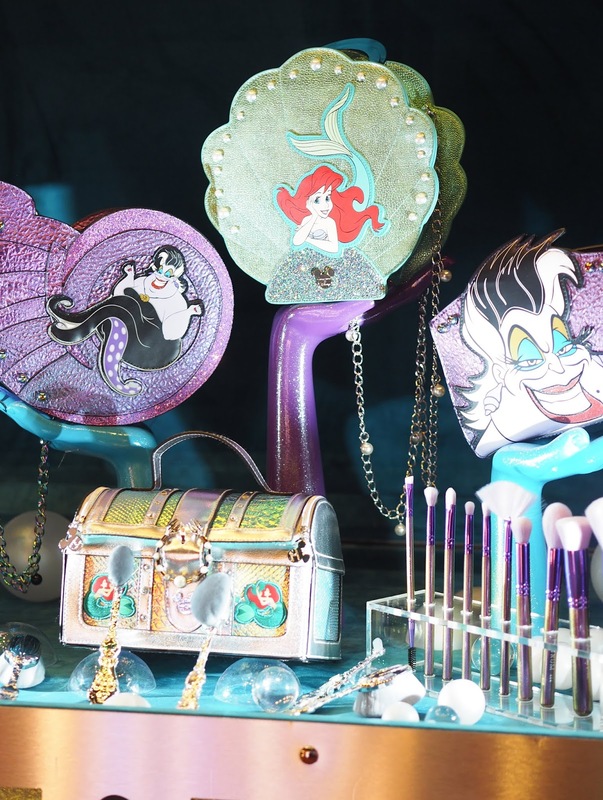 Get the Disney x Spectrum limited edition collections online now, priced from £24.99. I'm hoping they add to it in the months to come and have lots of other ideas up their sleeves! These are just so darn cute, I want them all!